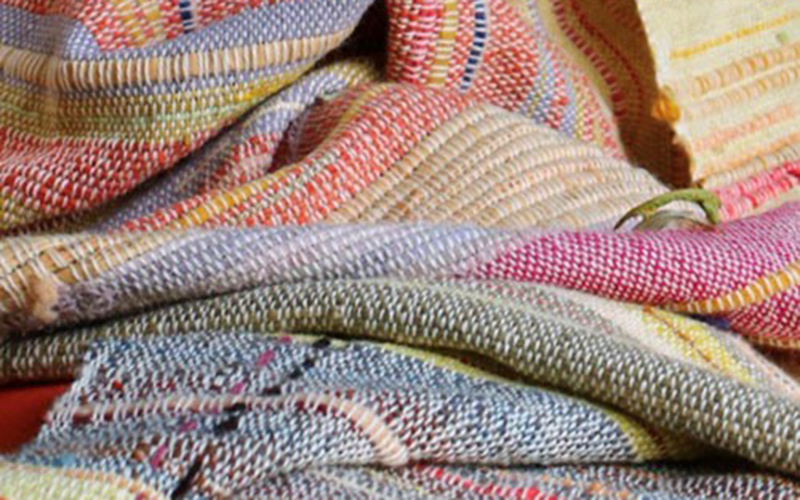 MA Textile Design student Maria Clarke-Wilson is coordinating a new project to collaborate with women in textiles around the world. 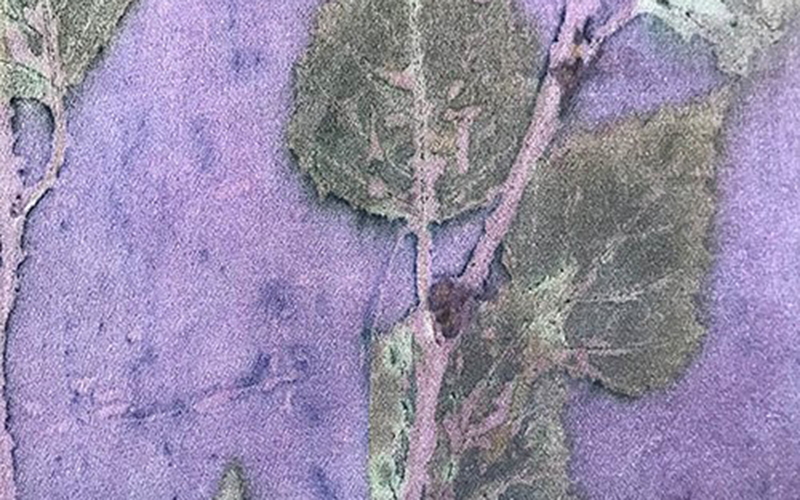 The global textiles collaboration focuses on the unique method of botanical printing, using a contact method to create a direct print from leaves and plants onto natural fibre cloth. Maria has divided a single piece of silk into patchwork squares and sent it around the world to each collaborator; the project brings together a group of 103 women from 28 countries worldwide. Maria has used social media to instigate How Far Does the Hand Reach and bring her new collaborative group together. The work aims to celebrate a collaborative community of women who are working with nature and are showing their commitment to the environment and a global community. 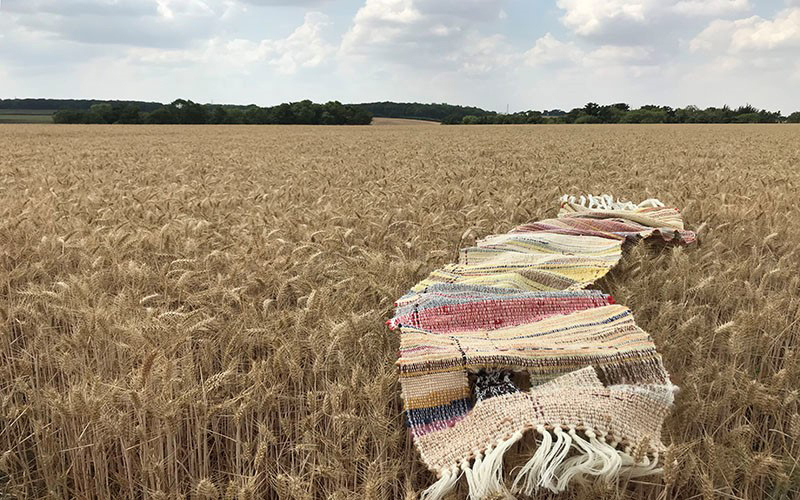 Maria was inspired to begin this collaboration following the success of her World Wide Weave project in 2018. This invited dyers to send yarns, naturally dyed from their locality, which were woven into a single piece of textile art. The final piece is currently on tour and heading towards Cape Breton, after its exhibition in Tasmania. 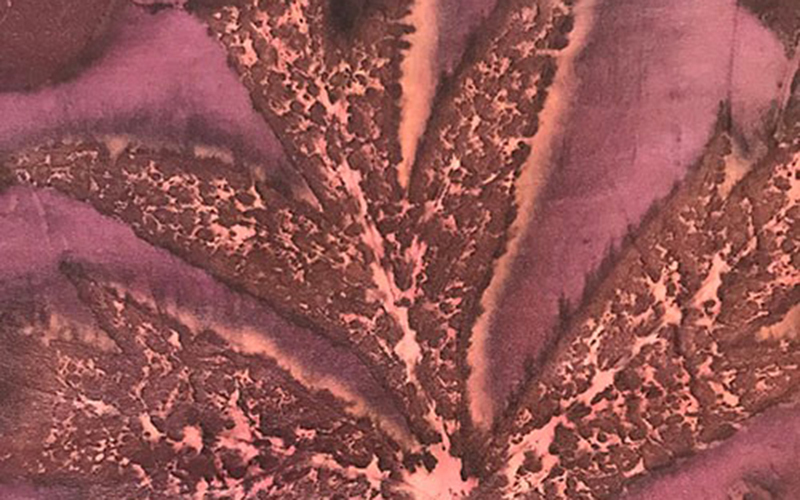 How Far Does The Hand Reach will be at Studio 20 in Norwich between 17 -20 July 2019 showcasing botanical print designs by Maria, the global collaboration piece and a selection of botanical prints from around the world.